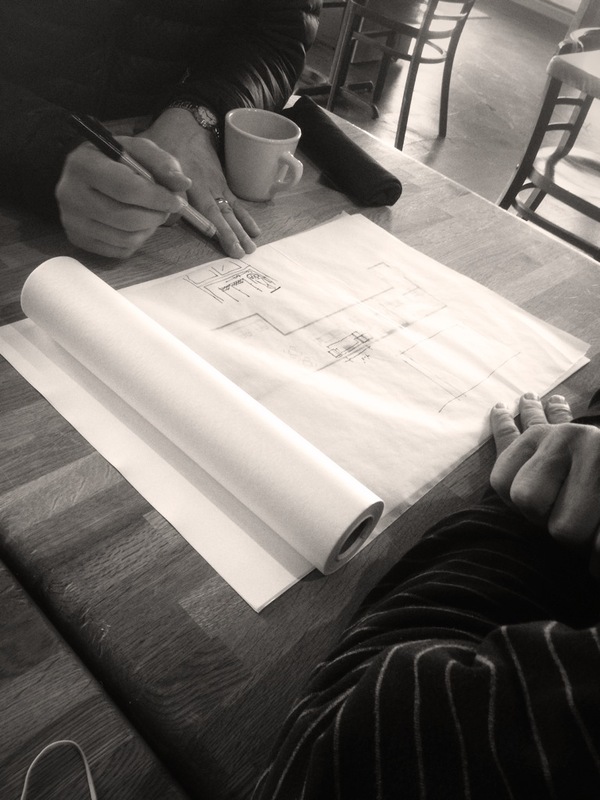 Mike and Tom Niemeier sketching on the Público floorplan. Mike Randolph’s at it again. We just helped him finish The Good Pie, and now he’s opening a swank Mexican joint next door. (Seriously, does this guy ever sleep?) The kitchen will feature an open wood-fired hearth for cooking meats the traditional Mexican way. Check out the RFT’s story here to get the inside scoop on Público’s (pronounced poo-bli-koh) cuisine, cocktails and design. We can’t wait to get started on this new adventure. Next time you’re in the Loop, make sure you stop by The Good Pie across from Craft Alliance at 6665 Delmar, 63130.